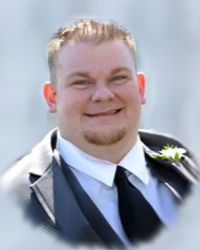 JOHN MICHAEL SOSNOWYJ, a resident of the Somerton section of Philadelphia, died suddenly on Sunday, February 3, 2019. He was 32. Born in Philadelphia, John was the son of Michael and Eva (Lashendock) Sosnowyj. He was a graduate of St. Christopher Elementary School and Archbishop Ryan High School (Class of 2004); he was also a graduate of St. Christopher Hospital School of Radiology. John enjoyed ice hockey and was the goaltender of Archbishop Ryan when they won the league championship in 2004. He continued to play hockey for a number of years and enjoyed working at the Skate Zone in Northeast Philadelphia and Voorhees, NJ. His career as a radiologist had him working at Fort Dix and had last worked at Curran-Fromhold Correctional Facility in Philadelphia. John is survived by his parents, Mike and Eva; his brothers, Michael Sosnowyj and Andrew M. Sosnowyj and his aunts and uncles: Mary and Walter Fedorin, Anne and Michael Macelko and John and Marie Lashendock. He is also survived by many cousins and friends. Relatives and friends are invited to his viewing on Friday from 6 PM to 9 PM at the Fletcher-Nasevich Funeral Home, 9529 Bustleton Avenue. Parastas Prayers will be sung at 7 PM. His funeral will be held on Saturday at 9 AM at the Cathedral of the Immaculate Conception, 830 N. Franklin Street. Requiem Liturgy will be celebrated at 10 AM. Burial will follow at St. Mary Ukrainian Catholic Cemetery, Elkins Park, PA. In lieu of flowers, donations in John's memory may be to: The Ukrainian Hour Radio Program; Ukrainian-American Youth Association or in the form of Mass Cards. Ukrainian American Youth Association (CYM).